Many homeowners consider having a professional security system installed in their homes but for one reason or another it never seems to get done. I wonder why this is? Perhaps some people feel that it really isn’t necessary or they don’t like the idea of paying the monthly service fee for a professional monitoring service. Regardless of the reasons I believe that there is a certain peace of mind and level of safety that makes the investment worth every penny. Most insurance companies will also provide a discount on your homeowner’s insurance premiums if you have a professional system in your home that is monitored. I am told that if you add fire protection you could save as much as 20% on your insurance. Aside from financial reasons the best reason for owning a system is the level of safety that it can provide for you and your family members in the event of the unthinkable. 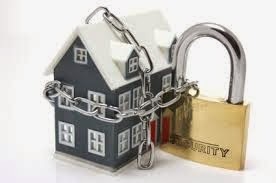 Regardless of what you may have heard security systems do deter home invasions. Obviously a criminal is looking for an easy target and a home that is protected may often be too much of a risk for a "would be" burglar. In fact, the latest FBI statistics state that an unprotected home is 3 times more likely to be burglarized than one that is protected. That reason alone is enough to get my attention. But what if a desperate person decides to enter your home anyway? It’s a scary thought but desperate people do desperate things. At least with a system installed you will be warned of an intruder. I would rather know that someone is in my home than not know and meeting them face to face in the hallway is not the way to find out. A security system will certainly inform you that something is amiss and just as importantly the monitoring station will dispatch the police to your home if necessary. I personally feel that in today’s world every home needs some type of protection and if it’s within your budget you should at least give it serious consideration.